Most people would not consider a visit to the site of a devastating nuclear disaster a relaxing way to spend their vacation. However, for the history buff, the thrill seeker, or the lover of interesting places off the beaten path, a trip to Pripyat, Ukraine fits the bill. Accessible from Kiev, the “ghost city” of Pripyat is a haunting, silent testament to the day of Europe’s worst nuclear disaster. In late April of 1986, reactor number four at the Chernobyl Nuclear Plant exploded due to a design flaw and poor worker training, sending radioactive matter into the air. Waves of radiation spread across Europe, with a majority of the most dangerous levels in Belarus, Ukraine, Russia, and Estonia. Pripyat, the village next to the plant where all the workers at the plant lived, was evacuated within one day of the explosion. However, much of the damage to human life was already done due to exceptionally high radiation levels. The hospital in Pripyat took care of the injured workers from the explosion, yet was so heavily radiated itself due to its close proximity to Chernobyl that no one in the hospital survived more than a year. The military and groups of people referred to as “liquidators” were sent in to clean up the area and secure the reactor site. Fast forward twenty-seven years later, Pripyat is still radiated and has been abandoned the entire time. For many years, it was illegal to enter the area -- not to mention deadly due to the high levels of radiation still present. Because of the speedy evacuation, much of Pripyat looks as it did on April 26, 1986. Within the apartments, dishes still sit in sinks. Toys and books litter the floor in the five schools in Pripyat. The Ferris wheel and other rides that had been set up for the Pripyat Fun Fair, scheduled for May 1, sit frozen in time. While nature has begun to reclaim much of the city, the majority of buildings, roads, and the reactor site itself still stand as if time simply stopped. Pripyat is one of the few places in the world that still sits in nearly pristine, preserved condition. There has been no attempt to restore the structures in the city and there have been limited instances of destruction by vandals. 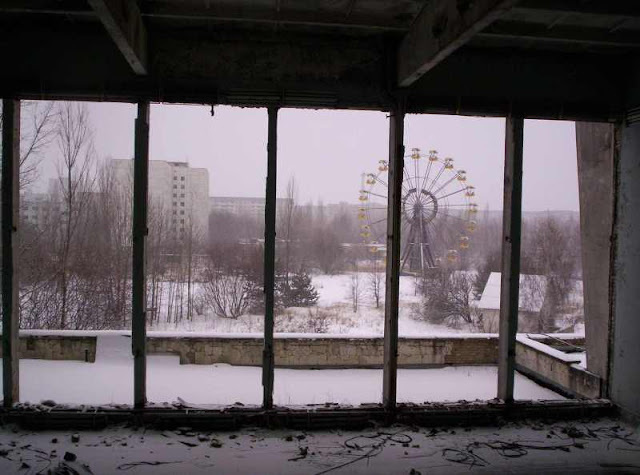 Recently, a few tour companies have set up a contract with the government to take groups to visit the “ghost city of Pripyat” as well as other areas in the Chernobyl exclusion zone. Touring in the Chernobyl exclusion zone isn’t for the faint of heart nor is it able to be toured without planning. As there are a limited number of people allowed in the exclusion zone per day, reservations must be made with a tour company in advance. The only way to visit locations in the exclusion zone is with a certified tour company. Sneaking in to Pripyat is foolish at best – the location is secured by the military and unauthorized visitors can be jailed, subject to significant fines, and, if exposed to enough radiation, detained within the exclusion zone until it is safe for them to be released. Most companies offer one- and two-day tours of Pripyat and the exclusion zone as well as meals while in the zone. (All food is prepared outside the zone and brought in by the touring companies. It is illegal to eat, drink, or smoke in the open air in the zone, so the company’s instructions on meals must be followed carefully.) Visitors are checked for radiation levels before entering the zone and before leaving; hence, the high level of security in the area. Tour guides carry Geiger counters to monitor radiation levels and personal meters can be worn into the area. Photography is allowed as long as it is approved by the guide; however, anything that is placed on the ground is probably going to be confiscated before leaving the exclusion zone due to absorbed radiation levels. If Pripyat and the Chernobyl exclusion zone sound like interesting places to visit, probably the first question that leaps to mind is “Is it safe?” While Pripyat, the “Red Forest”, and the reactor site are still radiated to levels that are slightly above ‘normal,’ it is safe to visit the area as long as visitors are with a certified tour guide and are willing to follow instruction to the letter. (Areas such as the reactor itself and other areas with dangerous levels of radiation are unable to be toured and are well-guarded.) However, there are several rules that must be followed or the entire group would be expelled from the zone immediately. NO ONE under the age of 18 is permitted into the zone; age must be established by a government issued passport. Because of the close proximity to Belarus, it is essential for visitors to keep their passports with them and available if a border crossing is required. While there are no special requirements for visiting Ukraine for less than 90 days, there are restrictions in Belarus so visitors are encouraged to have their passport with them at all times. Visitors to Pripyat must wear clothing that covers most of their body, such as long pants, long-sleeved shirts, jackets, and thick soled shoes. 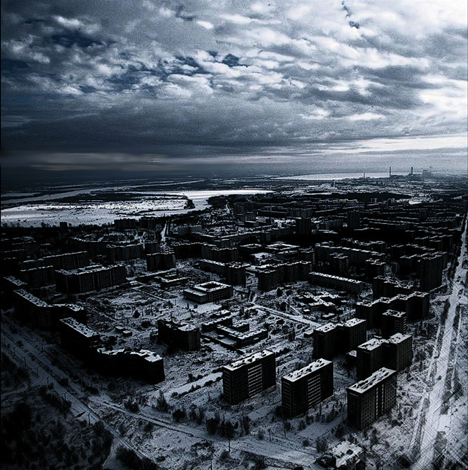 NOTHING may be left in Pripyat and NOTHING may be taken from Pripyat. The site is as it was in 1986 and the government wants it to stay that way. Finally, visitors must follow all instructions given by the guide immediately for the safety of the group, the guides, and the physical integrity of Pripyat itself. Far from the typical tour of antiseptically-clean museum displays and photo-op stops on a city tour, Pripyat is one of the purest historical sites in the world. Yet, with that purity of place comes a sense of danger – the site is still as it was in 1986 simply because no one can live there due to the devastation created by the accident at Chernobyl. For the traveler willing to take the risk to go off the beaten path, Pripyat will provide a once-in-a-lifetime experience that will touch the visitor’s sense of history, of humanity, and of healing. This is a guest post by Ripley Daniels, an international traveler with expertise in passports and visas requirements for entry into a range of international destinations. Ripley writes for WithoutTheStress.com, a Los Angeles based passport and visa expediter. I have gone on a day trip to the "Chernobyl Tour" April 10. It was an excellent tour. Our Guide Oleg is a professional, it is clear that the Chernobyl theme for him is a part of life, not just a job. We have found this tour on http://touristclub.kiev.ua/ company.